If you are experiencing trouble caused by leaking water, you can call the water damage Vail agents at 911 Restoration of Tucson to get help within 45 minutes or less. We offer around the clock assistance, so you can confidently call our office staff who are available 24/7/365 and a service agent will be there to answer any questions you may have and schedule a free home inspection. Our water damage Vail specialists knows the importance of getting water off your foundation and possessions in a timely manner. When we arrive we always come equipped with the latest water damage remediation equipment in order to implement same day services. 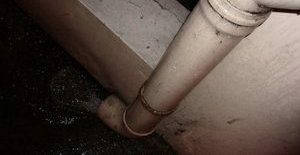 Call our water damage Vail leak repair pros with 911 Restoration Tucson and we will get your home fixed up in no time at all with the best tools today! The water damage Vail extraction technicians think that it is important how homeowners to keep their roof maintained all year round, including during the dryer seasons, to keep it from leaking and flooding the home during the wetter times. Warm weather can actually inflict damage to your home that you may not be aware of, and by implementing certain preventative measures, you can keep it from causing leakage during the rainy season. Keeping your roof cool can keep it in good condition. Super hot weather can impact the lifespan of your roof. A dark-colored roof can cause it to heat up to about 190 degrees. If you roof is a lighter color then it can stay cooler, because it will reflect sunlight instead of absorbing heat. You can install a cool roof coating, which is a very thick white paint that can be applied to virtually any type of roof. This coating will also protect the roof from water damage come the rainy season. You can also install a green roof, which is not only eco-friendly, can reduce storm water runoff due to the absorption of water by the plants that would otherwise flow into the gutter. Call the IICRC certified water damage Vail repairs unit if you need help repairing your roof after it has been affected by storm damage, and we will get it up and running again in no time. Our water damage Vail emergency repair crew is licensed, bonded and insured to help you with every aspect of the home renovation process. Customer service is very important to us, and we want homeowners to know that we will get the extra mile for them. If you need help understanding your insurance policy, just ask us and we will explain everything to you. Our water damage Vail restoration professionals have no problem filing your claim for you. We have many years of experience in the field, so we know exactly what insurance providers need to get you the coverage you deserve. The water damage Vail team knows that your situation is mentally taxing and this is why they make sure to help at every turn possible. Call our water damage Vail team with 911 Restoration Tucson and we will get you affordable and efficient water repair services today!